The world is going remote at a quick pace, and there’s plenty of reasons and justification for such a tendency. Companies want to shorten their expenses by hiring offshore workers and seeking agile offshore development that is, in fact, not as easy to achieve as it might seem at the first glance. Remote work percentage has grown by 115% in only years (2005-2015) and continues to increase. US job market has started to change back then and became the third in the world with over 53.7 million freelancers being nearly one third of the US labor force. The rates of an average remote developer salary make remote jobs even more popular among the global tech community. Modern companies are adopting flexible schedules today. Which is more, job seekers report that workplace flexibility outranks salary as the criteria of first importance when considering a job. More and more people are in demand of a flexible job option, so the market has to adjust to this new condition. Companies like Amazon, Aetna, Dell, American Express and much more allow their workers to have flexible schedules, and this option is advantageous to all sides. Naturally, the market reacts to such demand and provides more remote working software development jobs for seekers. An investor of Help Scout David Cancel believes that CEO has to choose either remote or office culture and closely follow it, because there is no middle option. Meanwhile, founder of Lullabot Jeff Robbins said that if you don’t communicate well at a distributed company, you don’t exist. What Is a Remote Team/Remote Developer? In terms of Mobilunity’s services, remote team is a group of remote software developers who work together on a task or project in a challenging and changing environment able to scale work and maintain agile software development. A remote software developer is self-organized, able to work in a team and as an individual employer. He has high communication skills, implements the best remote desktop manager, does his best in terms of coordination and is able to meet the deadline. He is open to receiving and providing of the sustainable feedback about the tasks fulfilled and is seeking continuous improvement. The remote team is a team of experts in the desired field trained to work together and coordinate with the company’s manager. Finding the right talent in your local area to work in the office is a tough challenge, and you can avoid it if you hire remote developers. It implies to no hidden fees and no hassle, only the talent pool you require. What is more, outstaffing solutions in Ukraine not only provide companies with access to enormous talent pool, but also cost 60% cheaper than the same quality services in other Western countries. Although hiring remote software developer and freelancer might seem to be the same, these two processes are different and imply diverse approaches towards onboarding, expenses and other job-related issues. When it comes to outsourcing, Eastern Europe and Asia make up the most common choices for western companies. As far as Asian countries and outsourcing development is concerned, India is the most popular choice. However, this sphere in India needs a lot of improvement. Cultural difference is the most outstanding option, as a huge number of developers in India have a very different lifestyle from western european developers and even eastern. What is more, the quality of their work is often questionable, since they tend to get a task done quickly rather than to get it done properly. The reason for such situation is the local education system that enforces memorizing things than actually understanding or learning them. Hiring full or part time software developer remote from Eastern European countries implies dealing with the staff not as quantitative as Asian, but also a high-quality one. Workers from Eastern European countries are more culturally comfortable for cooperation with the U.S. and Western European countries. Moreover, hiring remote developer team from Eastern Europe will resolve the time zones issue that exists when offshoring to Asian countries. That is why Latvia, Bulgaria, Ukraine and other countries from the region attract so many Western European companies. The outsourcing firms here are more than just third-party executives, it also has a proactive role in the business development of the client. Moreover, developers Eastern European developers tend to be more attentive towards details of the tasks they do and display more initiative in their work. These are basically the key differences between outsourcing work to Asia and Europe. Working with remote teams implies specific operating peculiarities such as maintaining deadlines and meeting all the task requirements, as well as pursuing perfect communication processes. Boosting development capacity and delivery time with remote developers is another challenge firms might face depending on the outsourcing company they use. In order to maintain agile in the dedicated remote team of software developers, there are specific guidelines to follow. Customer is at the center of the whole work process and satisfaction of his requirements is the top priority. Early and continuous delivery of valuable product (software) is the key. Changing requirements are welcome, even if they are late. Software delivery should be frequent and ontime with a preference to the shorter timescale. Businessmen and software developers cooperate together throughout the project. Only motivated people are engaged in the projects, as they receive the best fitting environment and support. Face-to-face conversation is the best and most effective way of delivering information to and within a development team. Working software of technical excellence and great design is the main measure of progress. Sustainable development at a constant pace should be maintained. The team reflects on becoming more effective regularly. Can software developers work from home? Yes, they can. The question is how organized they are and how dedicated they will remain to stick up to the company’s requirements. Recruiting is the process of selecting candidates, test task completion and interviewing. After all details are agreed, Mobilunity makes an offer to the best fitted candidate. Onboarding starts afterwards. It implies dealing with the settling the person in the working environment, enrolling the new employee into the team and dealing with various essential daily processes in the team like time tracking, reporting and task management. Work process means staff retention and motivation of workers. In such a way, we ensure that all workers at Mobilunity are content with the company’s policy, motivated and make sure all contractual obligations are met. 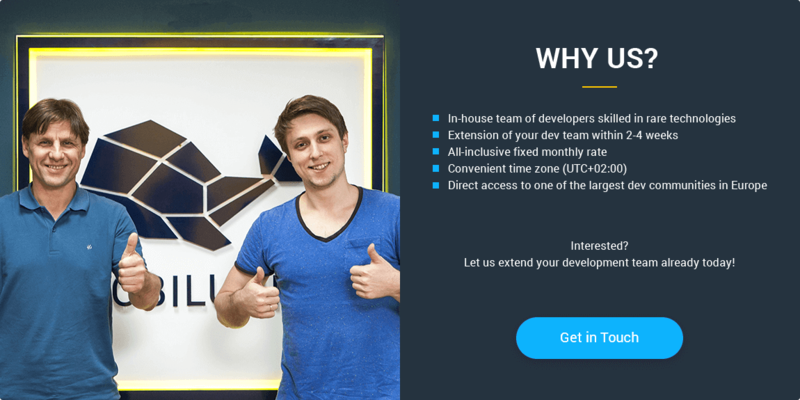 Hiring remote software developers at Mobilunity will not only save your operation costs, but provide you access to the most proficient talent pool in the world.